I have been spending a ridiculous amount of money on polish in the last few months. I haven't even added it up because to be honest I don't want to know how much I spend and it will spoil the love I have for all my beautiful bottles of magic. I could be addicted to worse I suppose, and I'm not going into debt over it so I feel I'm safe. So on one of my many polish hauls I got China Glaze Ray-Diant from the Prisms collection and Essie Braziliant. 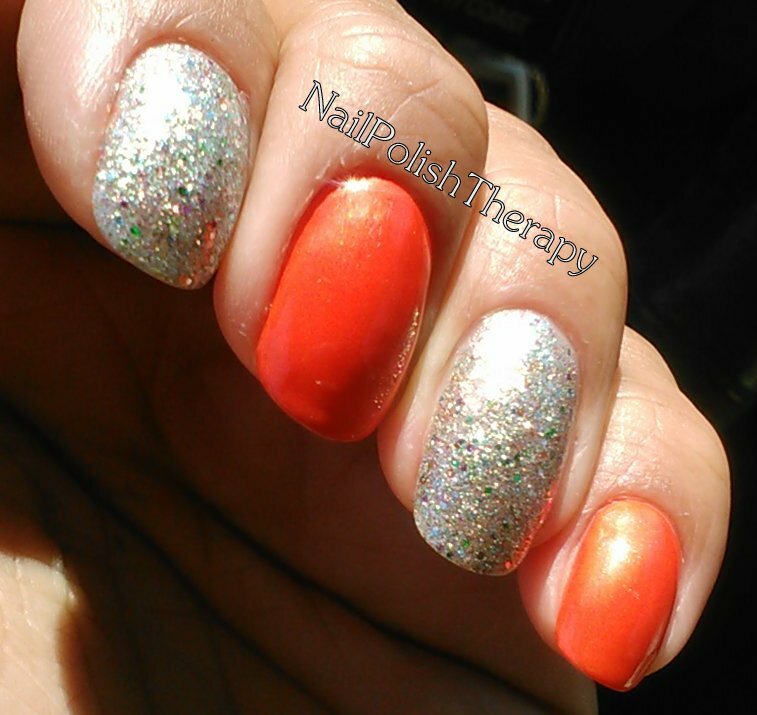 While creating a combo for this manicure I was thinking to do something that was bright and glitzy. Essie Braziliant reminds me of Brazilian people (warm, fun, inviting, lively, fun) and the spirit of the country itself (although I've never been but know from Brazilian friends of mine). 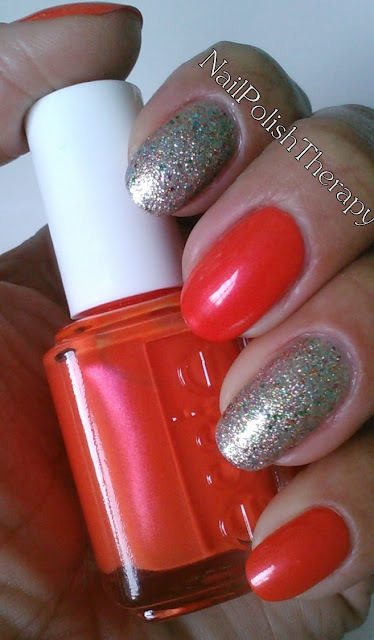 The base is a tangerine orange and there is a pink iridescent which is my favorite part. 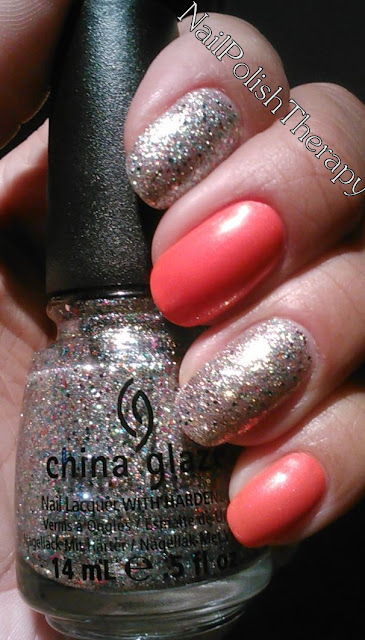 China Glaze's Ray-Diant from the Prisms collection is glitz in a bottle, It has a silver base, goes on in 1 coat smooth and even. I can identify 2 different shapes of glitter.The smaller sized glitter are silver in color and the rest are varied pink, blue, orange, and green. These stand out to give the polish a prism effect. I love both of these together and they captured the look I was going for. Thoughts? Feelings? Concerns? 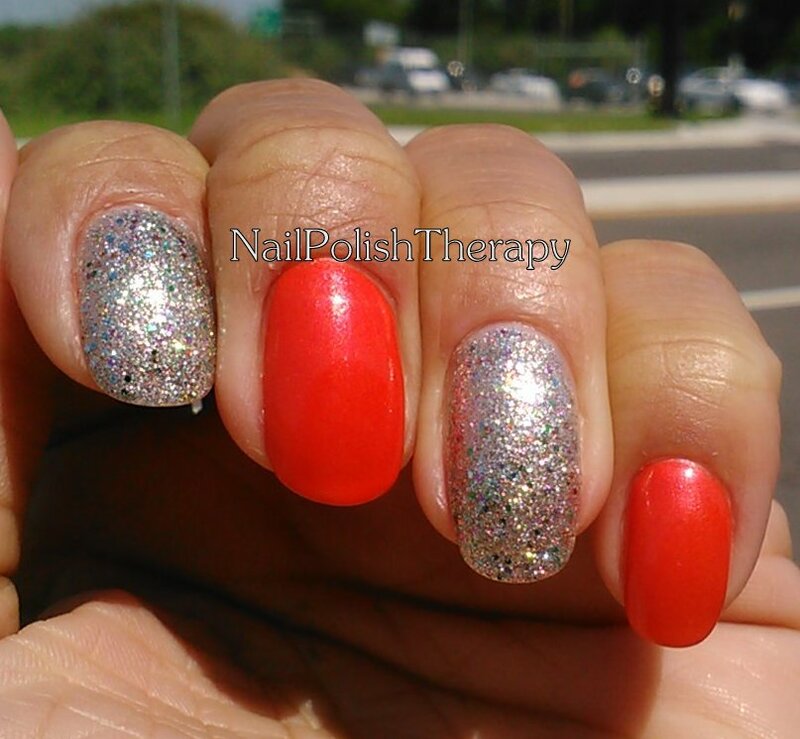 The picture below shows the prism effect with the colored glitter standing out on the silver based glitter.